Download & Install Asphalt 8 Airborne For PC Windows 7/8/XP/Vista: Asphalt 8 Airborne is an android game developed by Gameloft Productions. It achieved huge success since its launch and one can say that Asphalt 8 Airborne is the best android car racing game, presently. People are crazy about it and the critics can’t stop their praises for this game. Though the older versions of Asphalt were amazing but the 8th Airborne Version has taken android racing games into another level. Whether you talk about graphics, cars, sound quality or the racing thrill, Asphalt 8 Airborne is worth a game in your android smartphone. It is available free on Google Play Store and offers some in-app purchases. But what would you do if you do not own an android smartphone. You can’t miss this amazing game. 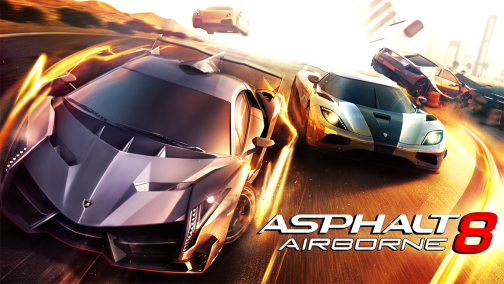 So, here is a guide to download & install Asphalt 8 Airborne for PC Windows 7/8/XP/Vista. At first, you need to download an Android Emulator. Android Emulators are software which helps you run Android apps on PC. I prefer using Bluestacks (an android emulator). Click here to download setup file of Bluestacks offline installer. Click here to download Bluestacks from runtime split installer file. You can follow any of the above method to install Bluestacks in your Windows PC. Once Bluestacks is installed in your Windows PC, open it. Go to Search. 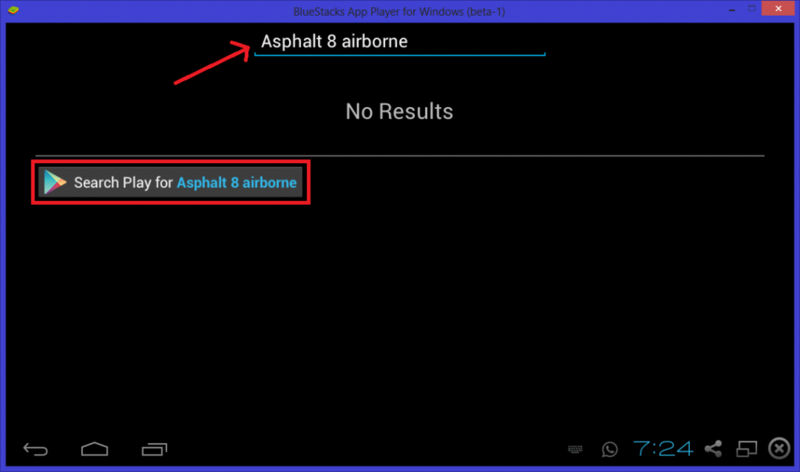 Type Asphalt 8 Airborne in the search tab as shown in the below image. Click on “Search Play for Asphalt 8 Airborne”. Now, you will see icons of asphalt games. Click on Asphalt 8 Airborne icon. 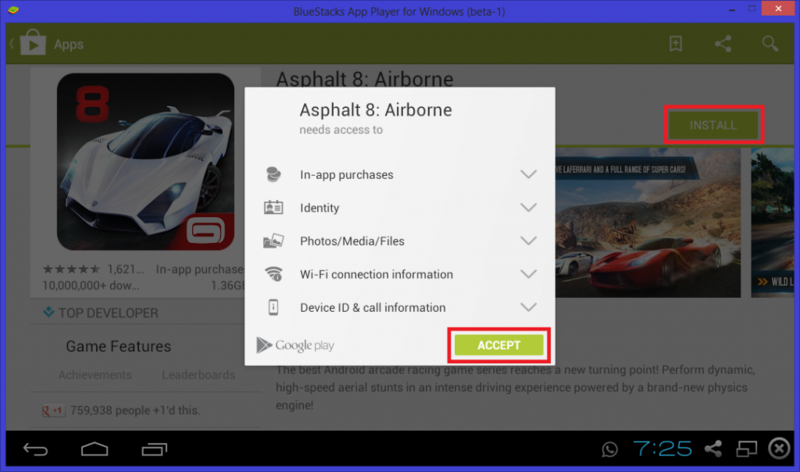 Now, Google Play store installation window will open in Bluestacks. Click on Install. A new window will open on your screen to grant some permissions. Click on “Accept”. Downloading of Asphalt 8 Airborne Game will start. Once the downloading and installation is completed. 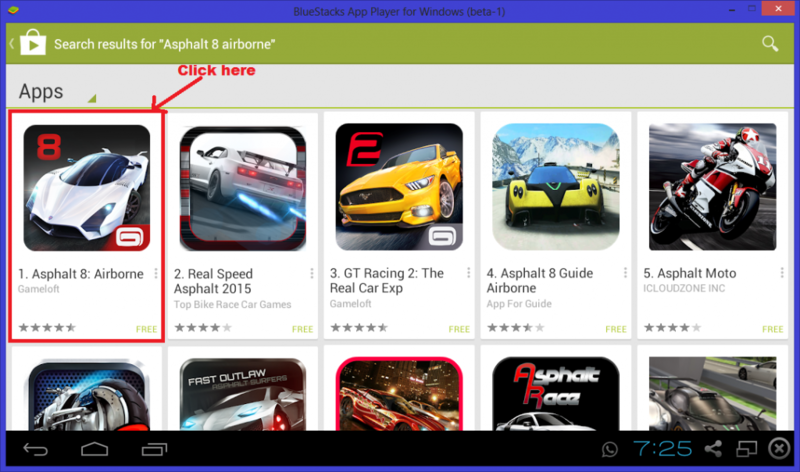 Go to “All Apps” in Bluestacks as shown in the first image of this tutorial, above. Click on Asphalt 8 Airborne icon and run it. #1 Bluestacks is a heavy software. SO, you should have minimum 2 GB RAM and a good graphic card to run it smoothly on your PC. #2 Remember to update your graphic card to latest version or else you will face problems in running Asphalt 8 Airborne in your Windows PC. 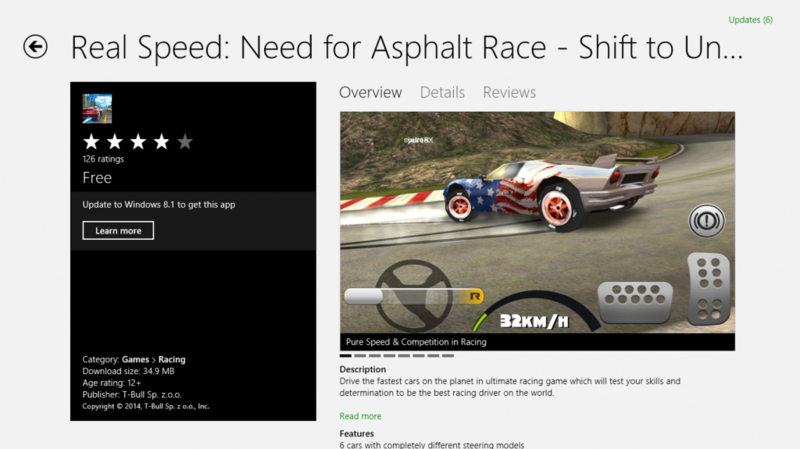 #3 You can also download and install Real Speed: Need for Asphalt Race from Windows 8 store. It is available for free on Windows 8. Now, let me share some awesome experience you could go through by playing Asphalt 8 Airborne on Windows PC. 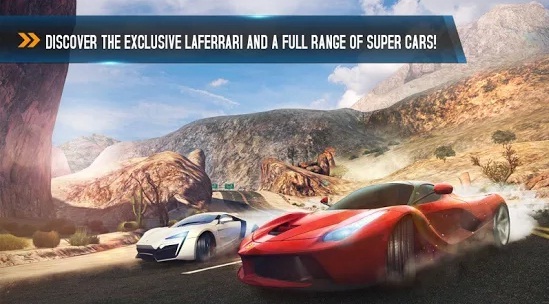 Here are some superb features and game play of Asphalt 8 Airborne. Asphalt 8 Airborne is an amazing game that would amaze you by its features and game play. And Playing it on big screen of your PC would be an incredible experience. 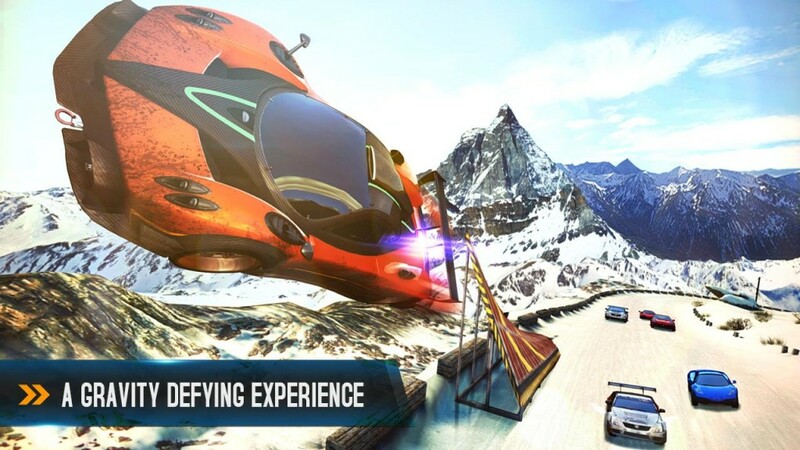 So, let’s have a look on some of the awesome features and game play of Asphalt 8 Airborne. 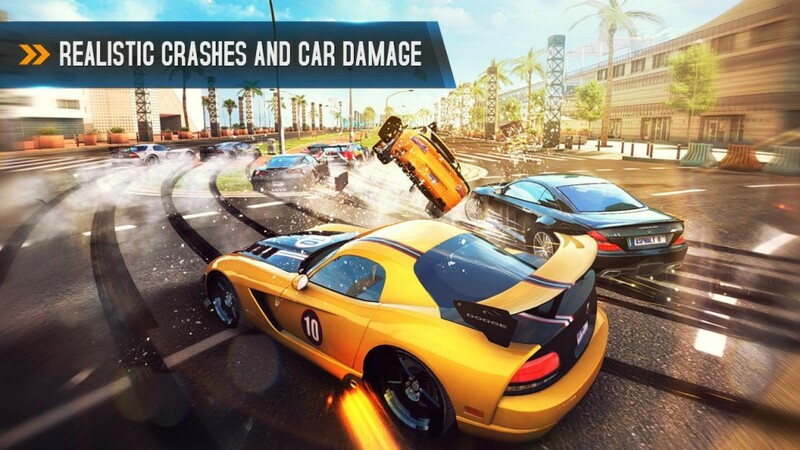 Asphalt 8 Airborne offers stupendous features. It has high quality game play with amazing car collections. It has eye-catching graphics with discrete animations. Sound quality too match up with its graphics. You get a real experience of car sounds & noises. The locations are inspired by some of the well known real-life places. You can join with your 8 friends via game server and have an incredible experience of multi-player gaming. There are various stunts in the game which could boost up your score. You could compare your score with your friends and get a total experience of multi-player gaming. There are nine divergent locations and tracks. You could explore to 8 different seasons. These 8 seasons consists of 180 events in the career mode. There are 2 new game modes added i.e. Drift and Infected Gate. There are 47 high performance cars to which you can license yourself. There are many new rides and you can enjoy each of them after unlocking it one by one. Previous articleTop 5 best android kitkat smartphones under 10000. Next articleDownload & install plants vs zombies 2 for pc windows xp/vista/7/8.